It is getting ugly between US prosecutors and Apple. [T]he FBI cannot itself modify the software on Farook’s iPhone without access to the source code and Apple’s private electronic signature. The government did not seek to compel Apple to turn those over because it believed such a request would be less palatable to Apple. If Apple would prefer that course, however, that may provide an alternative that requires less labor by Apple programmers. In the latest reply from the US Department of Justice to Apple’s formal motion to vacate the original order, the prosecutors are basically saying that the other option is to demand access to the source code and Apple’s private electronic signature. In DoJ’s perspective, asking Apple to unlock the San Bernardino iPhone by creating a new iOS is the lesser of two evils. Law enforcement agents around the country have already said they have hundreds of iPhones they want Apple to unlock if the FBI wins this case… Again, we strongly believe the only way to guarantee that such a powerful tool isn’t abused and doesn’t fall into the wrong hands is to never create it. On Tuesday, Apple’s CEO Tim Cook published a customer letter in response to a court order. A federal judge is ordering the company to provide technical assistance to the FBI to help unlock an iPhone 5c from one of the gunmen from the San Bernardino, CA attack. Apple is resisting this order and has been given until February 26 to respond formally in court. What does the FBI want Apple to do? Just to clear things up, Apple is not being asked to decrypt the iPhone 5c. The court order is also specific in stating that this concerns only this particular iPhone 5c, called “subject device”. In fact, it also clearly states that the “hack” will happen within Apple to ensure that the software created will stay within Apple. it will ensure that when the FBI submits passcodes to the subject device, software running on the device will not purposely introduce any additional delay between passcode attempts beyond what is incurred by Apple hardware. Is it technically possible for Apple to comply? Again, let’s be clear that the order is not for Apple to decrypt data in this particular iPhone. The order is to allow the FBI to use brute force to “guess” the PIN/passcode in order to gain access into the phone. In this case, it is technically possible. Here’s a great post on how this can be done. Apple argues that once created for this one phone, there is no absolute certainty that the same technique will not reused for other iPhones. In the wrong hands, this software — which does not exist today — would have the potential to unlock any iPhone in someone’s physical possession. The important word here is “precedence”. If Apple complies or if the FBI wins the court order, it creates a dangerous precedence where compelling tech companies to create access to otherwise inaccessible data will be as simple as having a court order. To the extent that Apple believes that compliance with this Order would be unreasonably burdensome, it may take an application to this court for relief within five business days of the receipt of this order. The US vs. Apple: Does the FBI have a case? This issue has yet to play itself out. But as privacy concerns war with curbing acts of terror, it would be interesting to see how public discussions such as this will affect the nomination of the next Supreme Court justice after the unexpected death of Justice Scalia this week. Even more interesting is with the Senate’s plan to block any nomination from Obama until the next President, will this case reach a court of 8 instead of 9? I have talked before of how much I dislike clickbait (so much so that this will have the same title) and sensational headlines. At the same time, I can’t help but click on said ridiculous headlines because I just have to know. This week, I saw two that led the pack. Google was in the news a lot this week due to disclosures from its five-year battle against Oracle. According to a lawyer for Oracle, Google’s Android operating system has generated $31B in revenues and $22B in profit for Google. Thus the first clickbait above. Not only are iPhones (hardware) and the Android OS (mobile operating system) in entirely different categories, they also differ in how profit margins are generated. Apple sells the iPhone 6 for $649, while only costing $200 in components and manufacturing. Google develops Android as a platform, gives the code for free and makes money from ads supplied by Google on Android phones and via the Google Play Store. The second headline on the other hand is a cry for attention to Tesla to say, “We’re sorry we made a mistake, here’s a Tesla for you at the price we initially agreed with.” Elon Musk did not actually steal the car, rather a car from the test fleet was mistakenly offered for sale. I get it. There’s so much noise out there that in order to be heard, you have to shout a little louder. It’s like when they tell you, don’t cry “help” to get people’s attention. Scream “fire” instead because people might ignore the former but rarely would they ignore the latter. Unfortunately, it’s up to us readers to discern the facts from sensationalism. So, I did try on the Apple Watch. Contrary to cities like San Francisco where appointment times were fully booked, Miami’s Apple Stores had some slots available. Courtesy of my sister’s overnight babysitting, I made it to the crowded Apple store at 9:30 PM on launch day, April 10. I have to hand it to Apple for making Apple Watch would-be buyers feel special. The watches were available to touch and to play with around the store but trying them on was limited in a cordoned-off area within the store. I can only guess that the Gold Edition was to be tried on somewhere else. Unfortunately, the functionality of the watch was not really apparent. The watch that you try on is in a pre-installed loop of Apple apps. You can dial the crown and tap on the demo watches but it was hard to tell just how well the watch will perform in real life. There was quite a bit of a lag which could either be software-related or a result of an overburdened wireless network. Siri responded to my query of giving me directions to the nearest Shake Shack – with some lag but again it could have been due to connectivity. Some of the watches I tried on were also a little hot to the touch but I’m not sure if that will be a problem with real-life use. Not much to report on its functionality then. But. It is a beautiful watch. Let me rephrase that – the Apple Watch selection of bands are beautiful. The Sport Edition is so-so and makes the watch look cheap but everything else is beautifully designed. The Milanese Loop felt really good to wear and surprisingly light. Apple’s idea of using magnetic closures make the watches very convenient to put on. So, my verdict? If Apple set out to make a watch that will appeal to the fashion crowd and overcome the nerdy factor of buying a wearable, then they have succeeded. Because functionalities aside, people will buy it for the looks. The bands alone made me want to switch back to iOS, that’s how beautiful it was and I’m not alone. The watch was sold out in 6 hours, pushing the delivery date to June. Reportedly, 1M units have been sold but Apple hasn’t released the official sales figures yet. Most of the snark and fanboy/girl-ism is here as Apple Watch goes on pre-order and appointments can be had to try it on. As someone who has predicted that despite the snark, people will still buy it (and they have, at least in China where the Gold Edition is sold out), I have an interest in how it performs. So despite my being a Google fangirl, I made an appointment to try on the Apple Watch Sport tonight. On that same note, when my husband read my post here about the iPhone 6 still having the best camera on a smartphone, he became convinced that I should put up my Nexus 6 for sale on eBay and get myself an iPhone instead. For a few minutes, I let myself imagine being back in iOS and then I snapped back to reality and said – no, absolutely not. 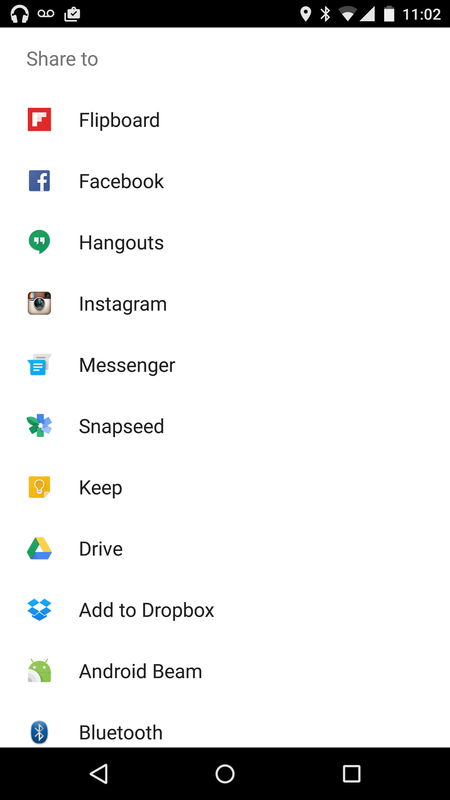 I share, post, take notes across several apps (photo editing, social, productivity, messaging) and Android lets me do that with no problems. In fact, I was able to upload the Android screenshot below to this post in WordPress within the photo app while I had to open the Gmail app and attach the iOS screenshot to send to myself so I can upload to this post. I mention it because I’m pretty sure that once we’re there trying the Apple Watch, I will salivate over the iPhone camera. This is sort of a reminder to myself of how painful so many other things are on iOS. Btw, you might want to hold off on that iOS 8.3 update (new emojis!) for now – the update breaks Touch ID purchasing for some users. A few years ago in early 2013, I had a discussion with one of my MBA professors at Hult. We were both agreeing on the fact that Apple’s innovation pipeline is drying up – especially after the death of its visionary leader, Steve Jobs. I don’t know exactly what he meant but for my part, I was referring to Apple’s innovation pipeline in terms of its iOS and that users will eventually get tired of it. I was an Apple fangirl – having converted to Mac OS in 2005 when the cult of Mac was reaching the masses. I had a MacBook Pro (still do), an iPad and the iPhone 4S. I’ve been holding on to my iPhone 4s and was looking forward to the launch of the iPhone 5. The launch came in September 2012 and it was such a disappointment in so many ways – both in hardware and in software. The screen, which was supposed to be bigger in the face of rising competition from Samsung’s bigger devices, was bigger but far from satisfying. The iOS was faster but there was just nothing more remarkable about it. I switched to Google’s Nexus right after that, betting on the Android platform. It was frustrating at first, the interface was not as intuitive and it did crash on me a few times. But once I got over that, I was able to do a lot more on my phone – I was no longer constrained by Apple’s walled garden. However, I underestimated a few things: the ongoing marketing genius of Apple, the loyalty of Apple fans, and the devices’ easy, intuitive interface. This is probably most apparent in the launch of the Apple Watch. As I watched Apple’s live event on Monday, despite knowing what I know, I was almost swayed by the blitz. The phrase – “in a way that has never been done before” – almost got to me. Every. Single. Time. In some instances, it was true (eg. being able to call and receive calls via the watch) but in a lot of cases, it was just not true. The most egregious is by implying that the Apple Watch is the first of its kind. I can imagine the Pebble Watch and the Android Wear teams groaning and hurling epithets on their screens. Early reviews are mixed. Negative reviews in general point to a lack of a compelling use case for the watch. Furthermore, there does seem something douche-baggy about the Apple Watch Gold Edition, which starts at $10,000. It also says, “mug me.” But, in the end, do these negative reviews really matter? It’s not like conspicuous consumption is so out of fashion as to render the Ferraris and Hermés of this world out of business. It’s just another in a long line of status symbols. As for a use case*, I have argued here that people will still buy the watch. Marketers call it the “halo effect”. In this case, potential buyers who already own an iPhone and who happen to like the experience, will most likely buy the Apple Watch. Furthermore, the Apple Watch can even be a gateway product – if you want to buy one, you will need to get the iPhone 6/Plus as well. It’s actually great – if you’re interested in wearables, you get the Apple Watch + iPhone 6 and if you have the iPhone 6, you’re going to be very curious about that Apple Watch. It is so hard to believe now, but seeing an Apple product was like seeing a unicorn. Apple’s market share in consumer electronics was so marginal that one had to search wide to find someone owning an Apple computer. In the Philippines, they were practically non-existent in the 80s, 90s and even early 2000s. My first introduction was a desktop Macintosh – the interface of which was so foreign to me but the owner’s enthusiasm stayed with me. It was this encounter that guided my decision to buy my first MacBook. It is such Apple owners’ enthusiasm that is perhaps the most compelling. Apple may have the marketing genius but it is the company’s ability to recognize customers as marketing evangelists that continues to fuel Apple products adoption. A 2014 survey among 2,000 iPhone users found 60% of respondents to having “blind loyalty” to Apple. Call them iSheep if you will but that loyalty has translated to healthy profits for the company and a rise in smartphone market share. My sister is not the most technologically savvy of electronics users. More than that, she has a healthy suspicion for expensive and fancy-schmancy devices. And yet, a few years ago, she finally got herself an iPhone and an iPad. She will likely upgrade to yet another iPhone/iPad soon. I mention this because the laggards in smartphone adoption – the holdouts and the older generation – simply find Apple’s mobile devices easier to navigate than Android’s. Even my 1 year old daughter has a much better time understanding Apple’s home button than my Nexus’ side home button. To be fair, that “home button” is patented so even if its utility has been proven, no other company can copy it even if they want to. And with all the sharing happening on Facebook, Instagram, Snapchat, Meerkat, etc., the quick and effortless composition of pictures and videos could be the driving force for a smartphone purchase. Although, it is yet to be determined whether the Apple Watch and it’s newly-patented “crown” have the same ease of use as the iPhone/iPad, brand loyalty and marketing will definitely propel Apple Watch way ahead of the competition. Despite the initial protests, people who happen to be Apple users and who pride themselves on being early adopters, will buy the Apple Watch. 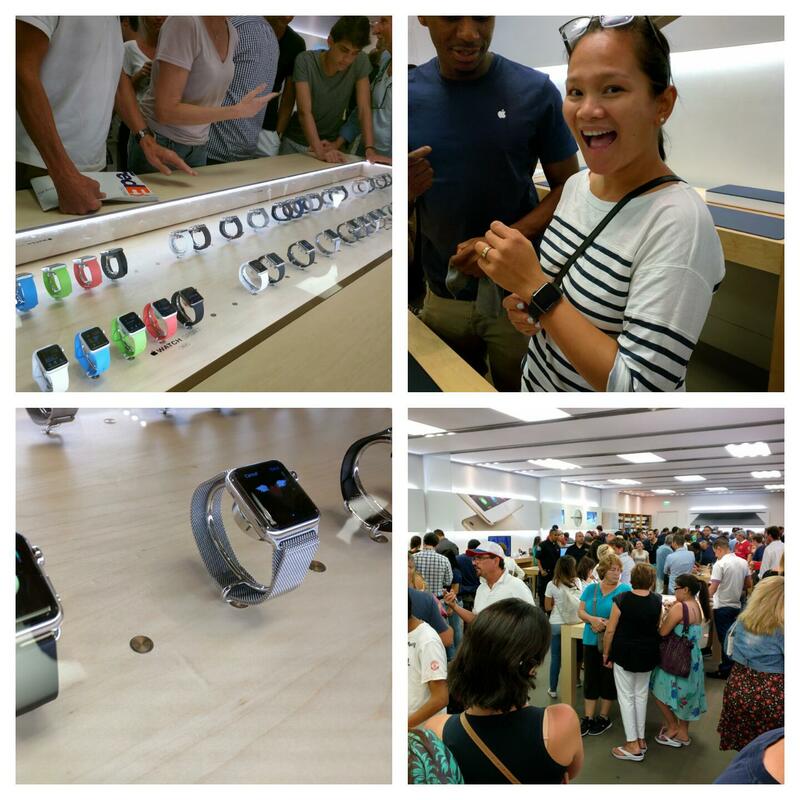 They will become the watch’s evangelists and the cycle begins yet again for the profit machine that is Apple. *By the way, there was not much use case for the first iPhone either. There weren’t that many apps, Internet browsing was so slow and for that price, who really needed it? Yet, look where we are now. I wanted to preface this week’s news roundup with a commentary on the new Apple Watch but that commentary has ballooned into a full-blown post which I will most likely finish in the next few days. But that’s an Apple event for you, we can’t really stop at a few words to comment about it. At least for me anyway. But I also can’t let this week go by without saying anything about Apple’s newest products: the Apple Watch and the new MacBook. First, the Apple Watch. Starting at $349 for the sport edition and starting at $10,000 for the Gold Edition (whaat? ), reactions have ranged from excitement to contempt but the consensus seems to be that people will still most likely buy it. But, enough about the watch for now though, I’ll save that for my full post. What about that Macbook? Only Apple could get away with sticking one port on a laptop with a $1299 price tag and then charge another $80 for each dongle for all other peripherals. Well, actually, we should probably be thankful. They could easily have gone with zero port, charge at least $200 for a wireless station for charging and make the laptop only work with Apple screens, Apple printers, Apple mouse, etc. But the most remarkable thing about this move? A new category of devices: a hybrid between a tablet and a laptop – tabtop? *If you have been a reader of this blog, you would know that when it comes to Apple products, I do veer between admiration and incredulous disgust quite a bit so needless to say, this title has a hint of irony to it. With the release of Apple invitations to a March 9 event – most likely for the Apple Watch – smart watches have been in the forefront of news lately. I have said in the past that I would jump on buying the Moto360 watch from Google/Motorola. But I really do have tiny wrists such that they simply looked ridiculous on me when I tried them on. It brings to mind, who would really buy these newfangled devices anyway? Apple is betting that with its focus on fashion (taking out a 12-page ad in Vogue magazine for example) will change people’s negative perceptions on smartwatches. Never mind that the Apple Watch will be very expensive and with fewer features than first announced, it will lead the pack in the current wearables market. I’ve talked at length about it here and why I would still stick to Android wear (just waiting for the slimmer models). So, you might hem and haw for now and skeptics will abound but if you own an iPhone, chances are, you will end up buying it at some point. Which, apparently, is not good for the global supply of gold. According to some reports, Apple plans to sell 1 million units of the gold edition per month. If demand reaches that month, it will use up a third of the world’s supply of gold. Maybe, it’s time to invest in gold futures or gold-mining companies. I was driving from Miami to North Lauderdale on Wednesday (a 45-minute ride), my one-year old sleeping in the back when I suddenly wished really hard for a self-driving car. As my daughter gets older, she resists naps more and more – the only times that I can really have uninterrupted work. But the movement of the car almost, always puts her to sleep but then I’m occupied with driving. What is interesting is that of all the activities I can think of, most of them would require me to be connected to the Internet either via smartphone, tablet or laptop. It should then perhaps comfort me to know that the big tech companies, starting with Google’s publicized ambitions for self-driving cars, are no longer content to get our eyeballs for most of our waking moments, they want in on our commutes as well. According to the Census Bureau, 10.8 million Americans travel more than an hour each way to work. Out of this, 600,000 have “megacommutes” – at least 90 minutes each way. The average travel time to work is 25.4 minutes (you can find average travel time in your zip code with the same link). In aggregate, these numbers would be staggering and these are the times that millions of people could also spend online. Of course, some people do that already to the peril of themselves and other commuters around them. *I still think of Apple as a hardware company with an amazing marketing team. Although, with that much money, Apple can easily acqui-hire software developers any time they want. 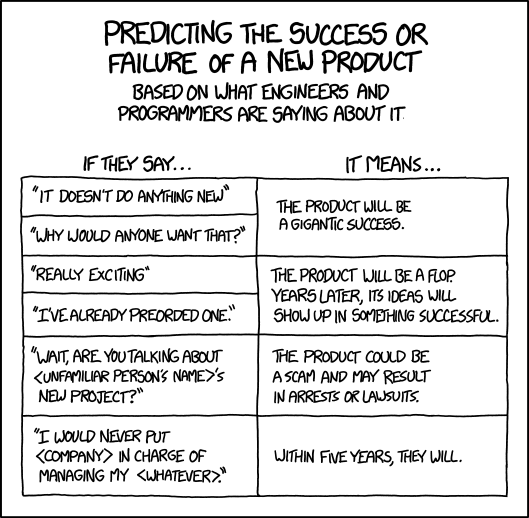 So, they might very well become a great software company as well. With the historic numbers related to the use of mobile devices, there is a lot of focus on iOS vs. Android shoppers. Simply put, iOS users use their mobile devices more for online shopping and more importantly, buy more than Android users – in this case, four times more. This comparison is not new. Historically, iOS users spend more on apps than Android users. With these recent numbers, there’s again a lot of talk on how these affects future app development. Developers will almost always develop for iOS first and may even forego developing for Android. iPhone and iPad buyers tend to be slightly more affluent and more comfortable with technology. Affluent, I can agree but more comfortable? The iOS’ value proposition is its simplicity – don’t offer too many choices on how something is done and the user will just get it. This is why, even your most un-tech savvy friend or family member has an iPhone/iPad. Go to an Android and the learning curve is a little steeper (but once you’re there, you can do so much more productive things on an Android). But I digress, this post is not about pitting iOS and Android users’ tech-savviness. This post is to poke some holes on those mobile spend numbers because as an Android and iOS user who happens to *love* shopping, I have experienced firsthand as to why I browse/buy less on my Android. 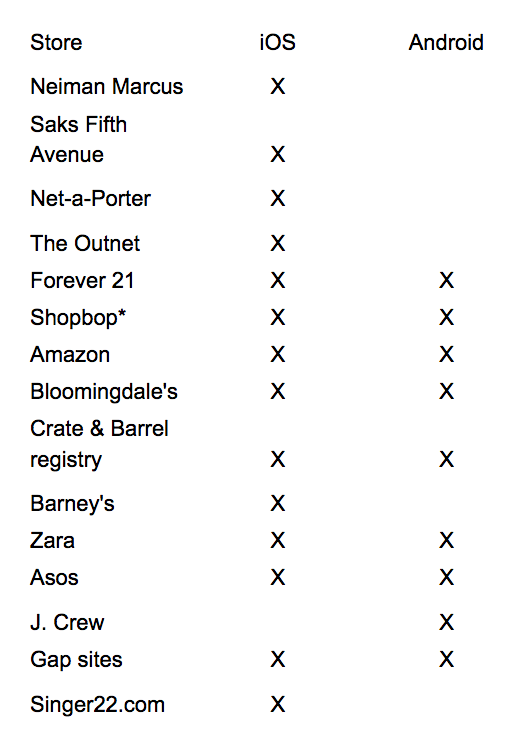 There are fewer shopping apps for Android. Thankfully, most sites are now mobile-friendly but they are far from perfect. 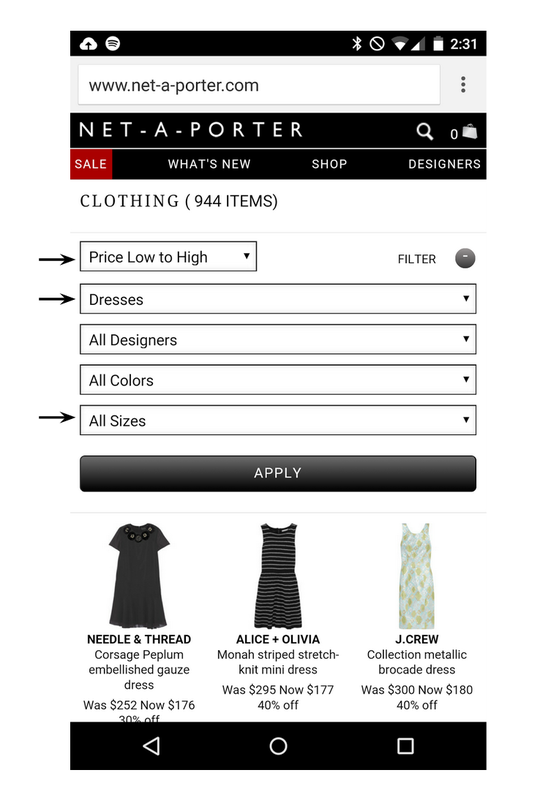 Case in point is Net-a-Porter: I was filtering for dresses in size S. But after sorting for low-high prices, it resets the size. This only happens in the sale section which is what Black Friday and Cyber Monday are all about. Incidentally, browsing the sale section at Barney’s mobile site is limited to filtering between “Men”, “Women”, “Home”, “Kids”, etc. There are no filters for size and sub-categories so results number to 12,000 items which can test the patience of even the most avid shopper. 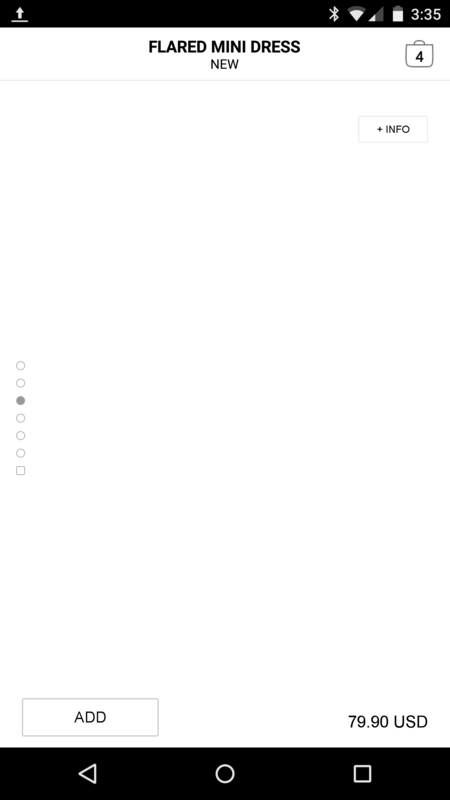 Even when shopping apps exist, they can be buggy. During Black Friday when Zara, site-wide was 30%, the bugginess of the app was very pronounced in my Android. While the iOS experience remained smooth, I saw blank spaces where images of items should be when I scrolled down. This happens all the time but during big sale periods, the blank space stays longer (minimum 5 seconds) and the app crashes constantly. As more and more metrics pit the dollar value of Android users vs. iOS users, it will only perpetrate the cycle: developers will focus less on making the Android experience more robust; Android users spend less money; iOS users are more valuable – and so on. In this case, I sometimes get frustrated with Google for not marketing the Android platform better to developers. I understand that they have ambitions beyond users spending money within their devices but at some point, will Apple’s easy/seamless ecosystem trump Android adoption globally? But then again, Google’s currency, to put simply, is information and large amounts of it. Even if Android dominance falters in North America, there’s billions in the rest of the world who will not be able to afford iOS devices (especially if Apple continues to act like a Veblen good*) and will most certainly adopt the Android platform. And that’s several billions of users using a platform that Google controls. Scared yet?